The January 15 terrorist attack on an upscale hotel and office complex in Nairobi’s Westlands, in which at least 21 people were killed, has left the region scrambling to re-engineer its security arrangements to prevent further attacks. In Uganda, the report says Al Shabaab has struggled to gain traction – in large part due to better integration of Somalis, and Muslims overall, into society. However, Ugandan security forces have in recent years rounded up some Muslims, creating the potential for militancy. Police have also warned the public against falling victim of a fake terror alert message circulating on social media platforms. Addressing journalists on Monday, Police spokesperson Fred Enanga said they have not issued any terror alert in the wake of the attack in Nairobi last week, asking the public to disregard the purported terror alert. “We have noted with serious concern falsified terror alerts warning of a terror attack two weeks from the Nairobi attack. We want to disregard such fake terror alerts which are meant to give publicity and credit to terrorists. The country has no specific threats,”Enanga said on Monday morning. He explained that the circulating fake alerts claim there is a lady under the names Violet Kemunto also known as Khadija who is alleged to be wanted by the Kenyan police and that he entered Uganda. The Police mouthpiece said the circulating document is not official before asking the public to disregard it and the contents. 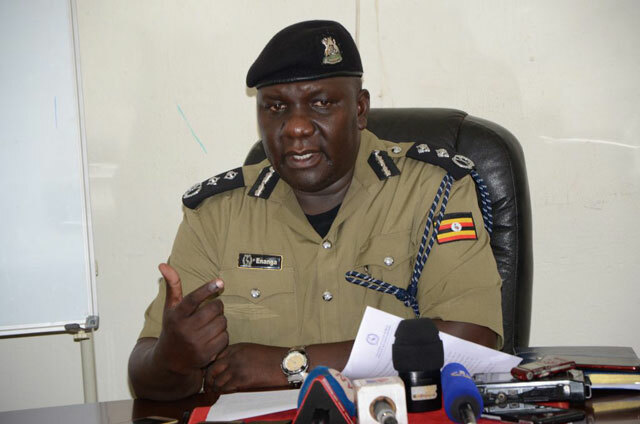 Enanga however said despite any circumstances, the security apparatus for Uganda remains on alert to avert any attack on the country by terrorists. “The police and sister security agencies actively continue to monitor the situation and share information with regional counterparts,” he said.